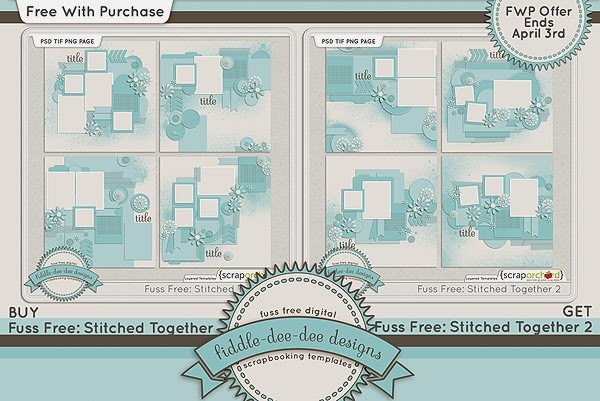 Fiddle-Dee-Dee Designs: Stitched together with love . . .
Stitched together with love . . . There are so many things in life that can tear our hearts and minds apart, but true love can stitch all those pieces back together again. Fuss Free: Stitched Together and Fuss Free: Stitched Together 2 are versatile template packs that can help you document everything from your worst moments to those mountaintop highs. Each template features circle paper mats with circular stitching, as well as paint misting, flower clusters, pennants and buttons. Purchase Fuss Free: Stitched Together and receive Fuss Free: Stitched Together 2 FREE! Offer valid through April 3, 2014. April's Fruit of the Month Collection contains kits by Bella Gypsy, Cluster Queen Creations, Etc by Danyale, and Meredith Cardall. If you purchase all of the products in the Fruit of the Month category, you will receive 50% off and receive the Add-On FREE! This is the last week that you'll be able to purchase these products at this fantastic price! REMINDER: April is almost here and new freebees will be coming your way. If you haven't downloaded these free templates yet, make sure you do so before they are gone! The March Exclusive Template for my Facebook Fans is available on my Facebook Fan Page. Once you get to my Fan Page, make sure you have "liked" the page and then click on the EXCLUSIVE GIFT FOR FANS thumbnail under the cover image. You will be able to download this beautiful template from there. The March Template Challenge has been posted at My Scrapbook Art and you can download this free template for your stash. 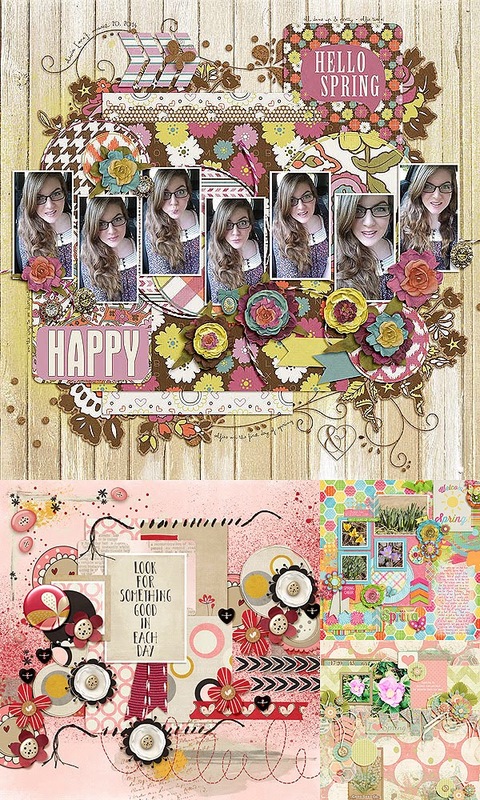 A new template from me has been posted for Template Tuesday on the Scrap Orchard Blog. Click on the image to go to the blog to download! I'll have a free template in of the Scrap Orchard newsletters of The Buzz this month, so make sure you are subscribed so you don't miss out on this exclusive free template! No matter where you are ~ in the depths of despair or healed with love ~ my thoughts are with you. I hope these templates help you record ALL your memories!